I'm not a bass player but bought a Yamaha RBX170 which is about the cheapest bass they make (or made) and I honestly couldn't fault it if looks aren't important. Full scale length; PJ pup config with nice tones and even the cheap feeling plastic tuners do the job. Bought for tracking bass on recordings. 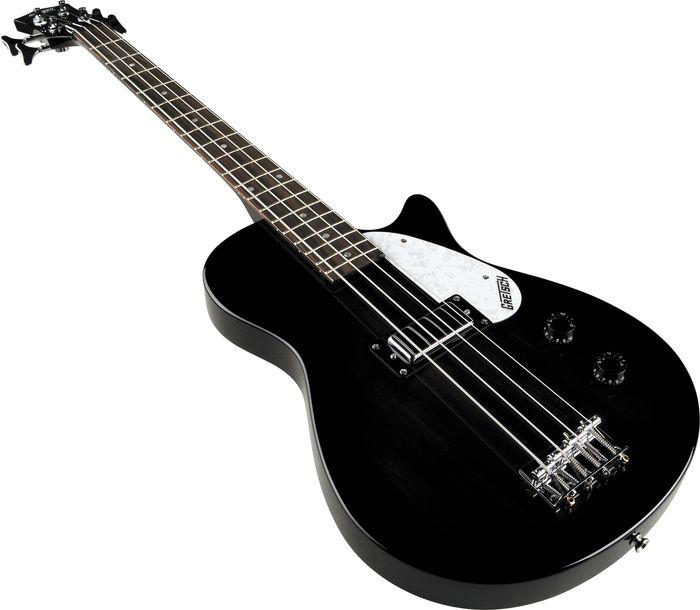 Another great bass that's inexpensive and sounds great is the Gretsch Junior Jet (see pic). Short scale and huge tone. Available in 1 and 2 pickup versions. I have the 1 pup, and it sounds huge for a bass that fits into a guitar gig bag. An important consideration is *cool factor*, from the young man's point of view. Color, shape, etc., all have to say "pick me up and play me."